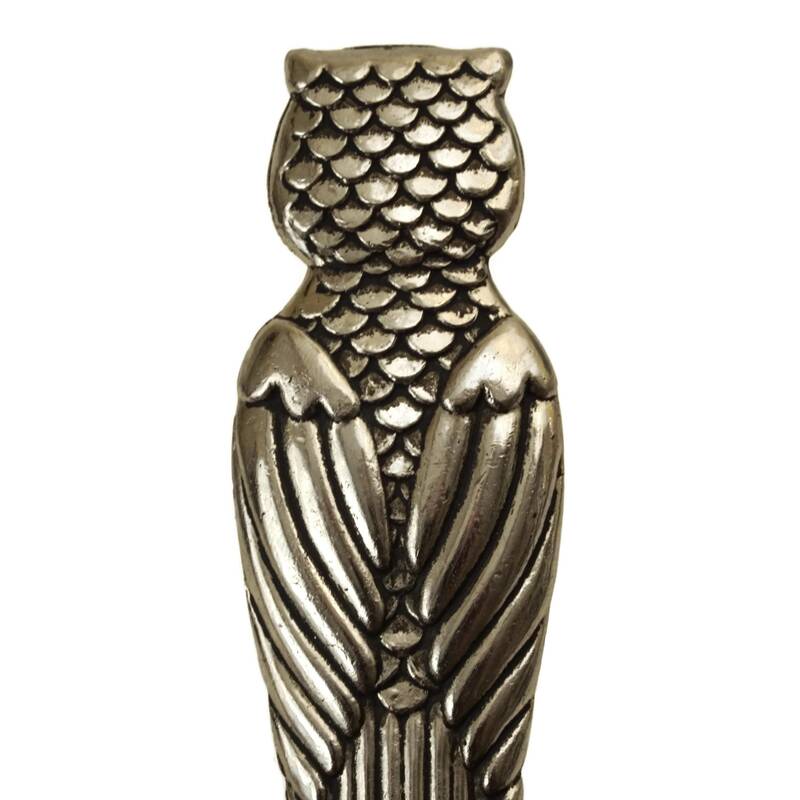 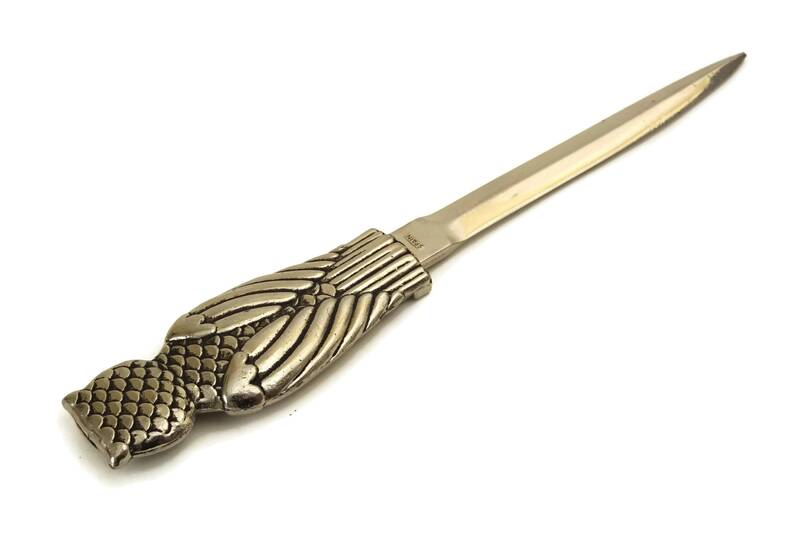 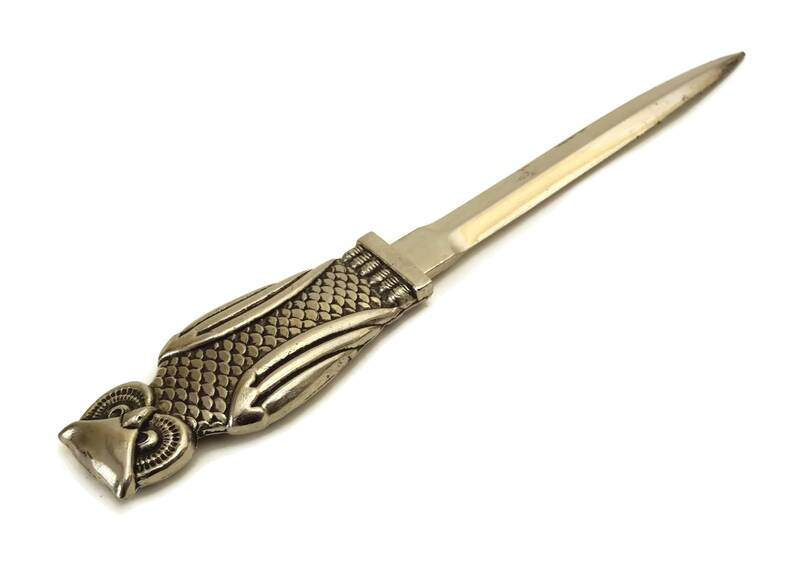 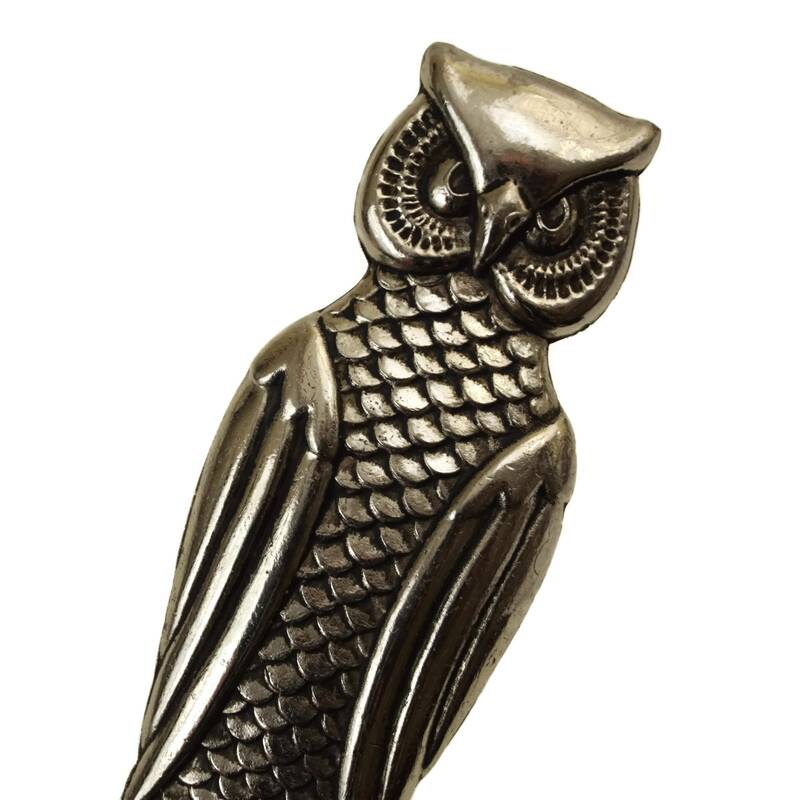 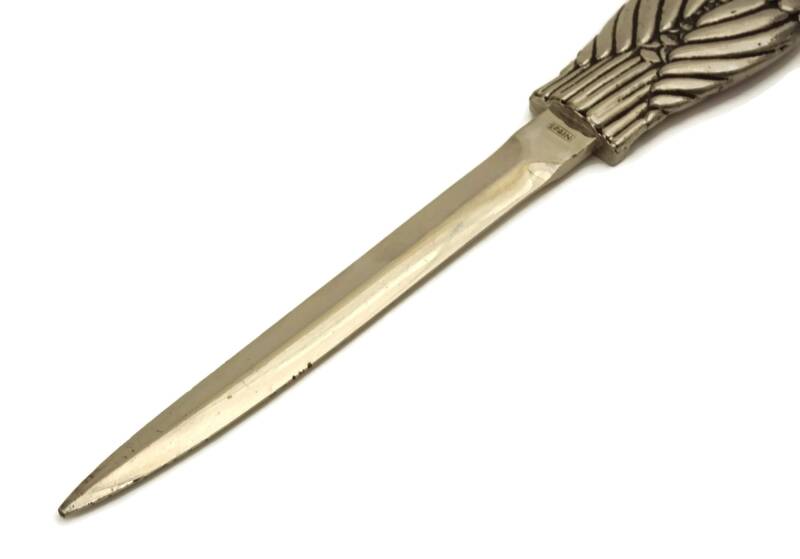 A charming vintage letter opener featuring a stylish owl figure handle. 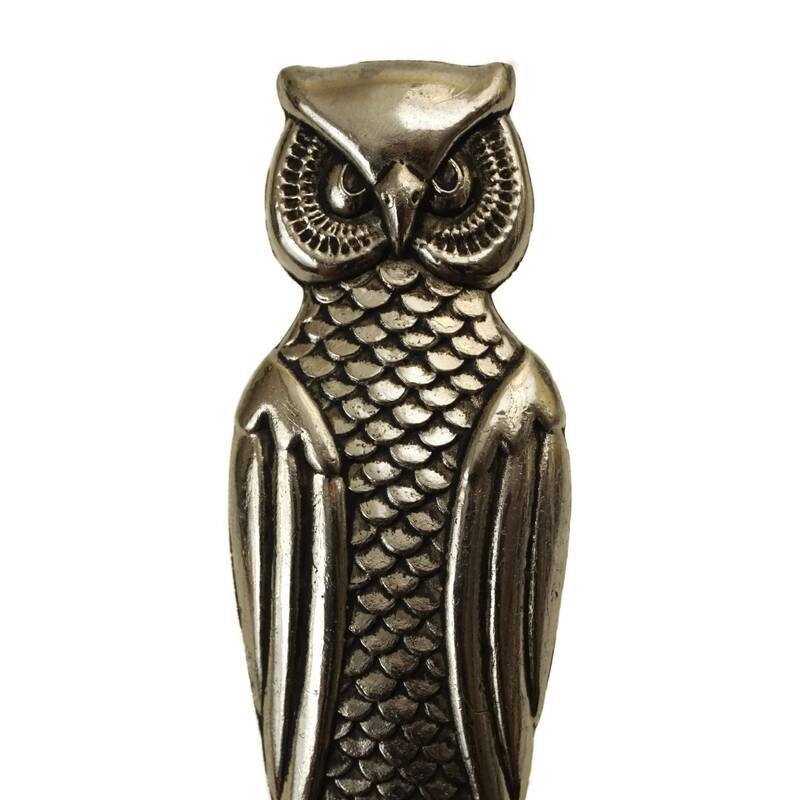 It has an elegant design and has been cast from metal with a raised relief design. 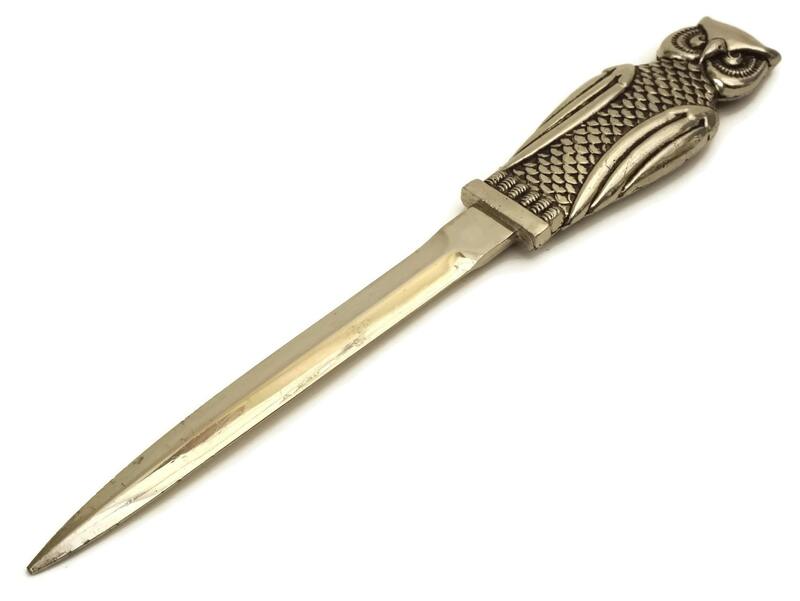 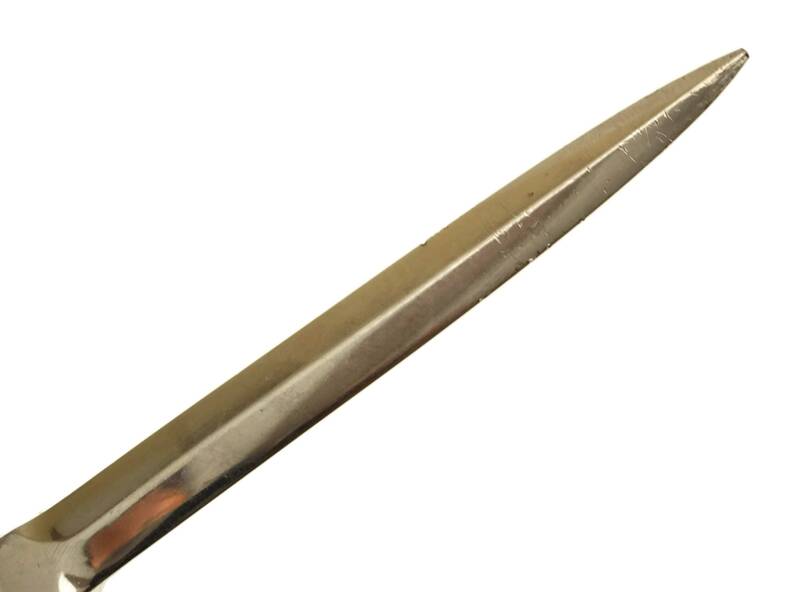 The blade of the knife is beveled with a slightly blunt tip. 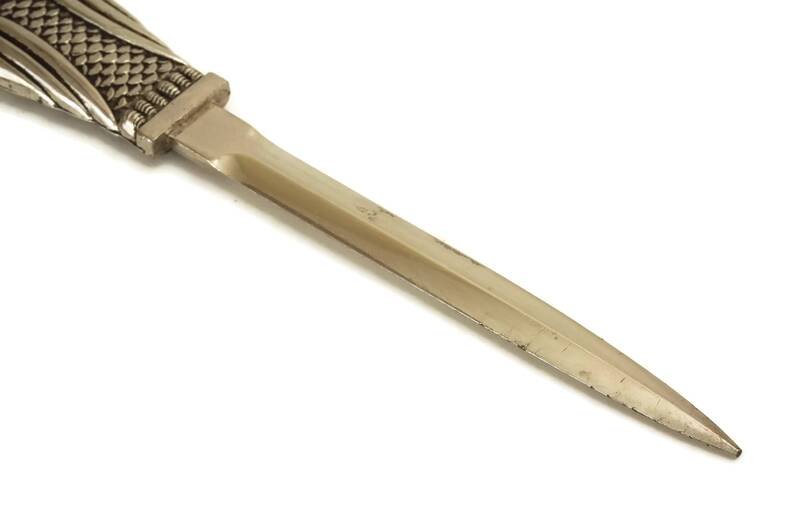 The reverse side has been stamped "Spain". 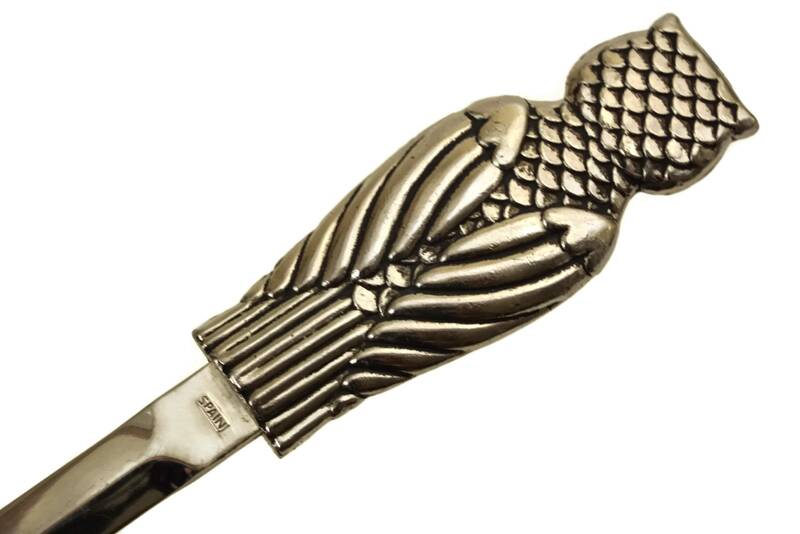 The owl letter opener is in good condition with some surface marks and nicks to the edge of the blade.